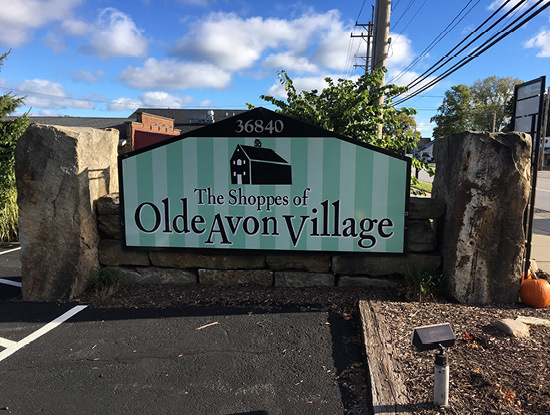 OLDE AVON VILLAGE STARTED WITH A VISION IN 1995. A vision to bring a mix of the past, present and future together in one place. A place where our visitors feel welcome, where they can shop, dine and have fun. Olde Avon Village is a rare combination of restored buildings, barns and new construction that houses a wide variety of unique shoppes for whatever you’re looking for from antiques, collectibles, painting, strength training and art classes, jewelry, men’s and women’s clothing plus accessories, eye care, haircuts, salon treatments, purses, gourmet food items and home furnishings, toys and bath and body products. Visit our new Chez Michel French Market for French crafted desserts, coffee, or fresh flowers, or plan to have lunch at the Tree House Tea Room Restaurant or dinner at Strip Steakhouse when visiting The Shoppes of Olde Avon Village – we know this will be either the perfect beginning or the perfect ending to a pleasant shopping experience. © 2019 Olde Avon Village, all rights reserved.